A sound haunted me in the night… hisssssssssssss …….. Could it be the kid’s sound machine? No. It was a different pitch. I swiftly followed it all the way to the half bathroom like a bluetick hound on the hunt. “Please don’t be a snake, please don’t be a snake,” I prayed to myself as I mustered up the courage to turn on the light. Ok, here goes. Nothing. I saw nothing (Thank God). What in the world was going on? The toilet wasn’t running, faucet wasn’t on. Neither were any of the other ones in the house. Then it hit me like a ton of bricks- we’ve got a slab leak. A visit from my favorite superhero/handyman/Dad and 4 plumbers later, the diagnosis was confirmed. Luckily, a lifetime of hurricane preparedness and Girl Scout skills came in handy for this situation and I’ll share my 5 best tips with you now. Numero Uno: TURN OFF YOUR WATER and call a licensed and insured plumber. Get someone out there asap so you can get it repaired ASAP. 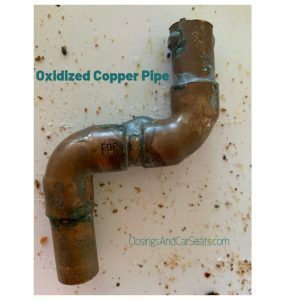 Good plumber’s schedules fill up quick and this is something you do not want to defer until later as the longer you wait, the more damage will occur. Water containers– buckets, jugs, tupperware- just about anything you have to fill water up with to wash your hands, clean, drink, etc. Hand Sanitizer– I’m not a germophobe, persay, but with two babies I do wash my hands all day everyday. This is the next best option without running water. Baby Gate– This is *hands down* one of the most versatile and useful items I’ve ever purchased for my children. It came to the rescue again in this situation- I opened it up all the way to create a safe barrier between the babies and construction and then built it back into the playpen option when we had to move into another room. Aluminum foil– for the sheet pan recipes. Cover the pan with foil ahead of time and you *hopefully* won’t need to wash the pan after cooking. Easy lunch/breakfast foods that don’t require cooking with water or dishes such as fixins for sandwiches or cereal. 3. Fill your water containers up as much as you can if you are able to do so without the leak getting worse. If not, ask a neighbor or friend for help. When we know a hurricane is coming, we’ll fill up the bathtub for emergency water. This can be used to wash your hands, do a few dishes, and take a makeshift shower. Do all of these activities in a sink or shower and not in your actual tub water source. I keep at least one jug by the kitchen sink and one in the babies’ bathroom. If you have a Brita, make sure it’s filled up for drinking water, or have a designated drinking water jug, or bottled water on hand. While we were camping in Girl Scouts, we’d have one tub with soapy water to scrub dishes with and one tub with clean water to rinse them. Definitely took advantage of the experience that earned that patch here. I LOVE to cook. The whole Southern mindset of “made with love” is something I truly take to heart and I really enjoy cooking for my family. Cleaning up is another story entirely but I digress….. When your water is turned off, you obviously can’t wash dishes (yay!). When you cook, you need dishes in order to do so. See where I’m going? You also probably won’t be able to boil water for pasta/potatoes/etc. unless you use bottled but I cringed at the idea of having to use pricey bottled water to do this. Hopefully you were able to save some fresh in a container ahead of time. Unless you plan on going out to eat, (which we were NOT because hello these repairs are expensive!) I’d recommend making easy at home sheet pan dinners as you’ll barely have any dishes and you’ll also save some $. We had leftover rotisserie chicken nachos one night and steak with roasted veggies to name a couple. Again, you won’t have water, so reach out if you need to or visit a laundry mat. Same goes for ..going… so make sure you’ve got access (and consent) to a neighbor or friend’s bathroom for when nature calls unless you plan on venturing out to a public one. No matter how you slice it, it’s going to be a rough couple of days. But, you will get through it! 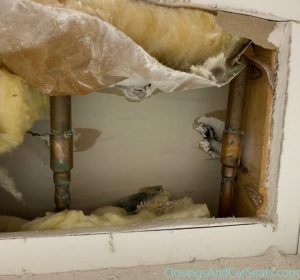 Now here’s where I’m going to step on to my soapbox and tell you why I think you should go ahead and move forward with a whole home replumb as opposed to just fixing the slab leak itself, especially if your home is more than 20 years old (and ESPECIALLY if you live in a Coastal Area). Slab Leak repair can cost several thousand dollars in and of itself. It usually entails ripping into the floors and walls of your home. 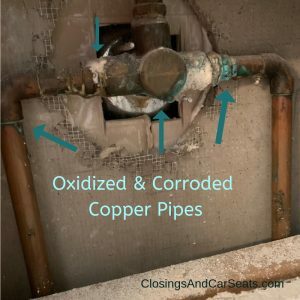 Annnnnd if you live in an older home in a place like Florida, there is a possibility that if you have one, another one is sure to follow thanks to the corrosive properties in the water that oxidizes the copper pipes. I’ve heard stories of folks who have ripped up their floors to fix one leak, and literally had another one pop up as soon as the new flooring and design had finished. So guess what? You then get to tear them up again, and go through the process again. And possibly again. And again. One nearby gentleman at the time of this post had just finished his 6th slab leak repair, and #7 popped up. While this is an extreme example- it happens! Solution? RePlumb the house. Each slab leak repair can cost a whopping $2000. A replumb can run about $6000 –but– you won’t have to worry about another slab leak! Multiply that $2k by 7 slab leaks and tell me which one makes more sense. 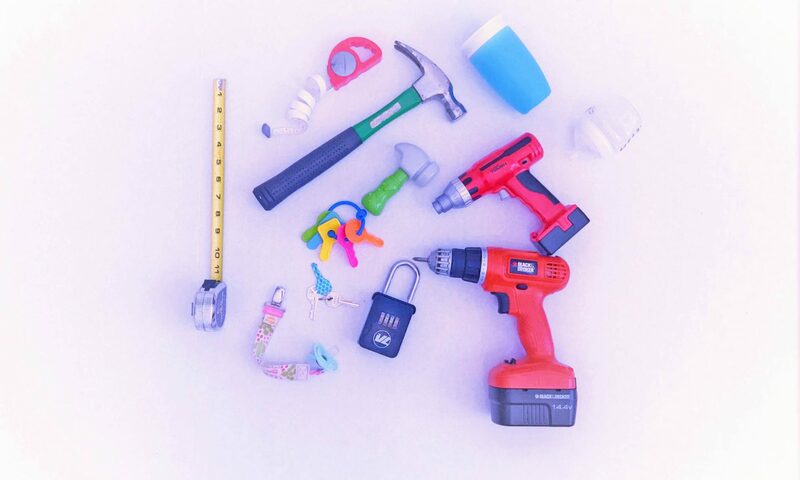 A replumb will still involve holes cut in your walls, but you not only get to keep your floors, but also take away the waiting for the other shoe to drop feeling that would occur had you only fixed the initial leak. Nipping it in the bud gets my vote. Interestingly enough, as soon as this replumb project began another pipe started leaking so you can see where I’m coming from. I literally watched the plumber begin to cut the drywall and there it was. Stepping down from soapbox now. 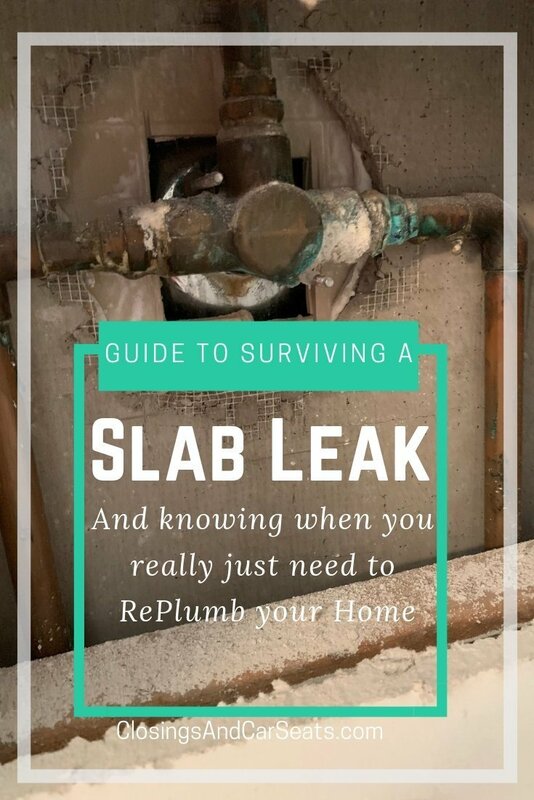 Do you have any slab leak/replumb survival tips?